This classic point-and-click game gives its lead character, Kate, a life that few games offer women: one where she grows. think it's time that you came home? KATE: But my mission still isn't finished! Throughout her transcontinental train journey, into ever-stranger lands not found on any map, lawyer Kate Walker’s charmingly 90s-style mobile phone keeps her tethered to a less enchanted world. Sometimes that phone is necessary to solve a puzzle, but much more often it’s used to keep her in touch with people, like her fiancé Dan, back in New York who are increasingly distant from Kate and the rapidly expanding boundaries of her world. 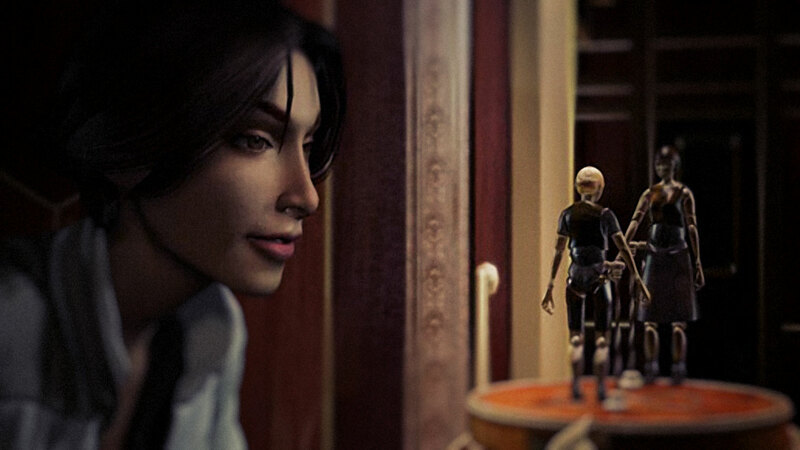 B. Sokal’s 2002 adventure game Syberia is about Kate’s metamorphosing mission to find the lost heir to an Alpine toy company, whose signature she desperately needs in order to close a sale to the conglomerate, Toy Co. that’s retained her law firm’s services. Kate arrives in the village where the small company is headquartered. Briefcase in hand, swaddled in a trench-coat, Kate's surrounded by the curtain of rain dripping from her umbrella. The weather wept for the death of Anna Voralberg, whose death precipitated the change of ownership that Kate Walker was sent to formalise. But, it turns out, there’s an heir out there—Voralberg’s long-lost brother, Hans. Spurred by this revelation, Kate takes a clockwork train, heading east in to the unknown, with an automaton conductor, Oscar, at her side (don’t you dare call him a robot). They grow close, riffing on each other, a platonic double-act on rails, speeding into the mist. Somewhere in forgotten lands between the Alps and Siberia I began to realize that the game I was playing was not just an enchantingly obtuse puzzle-based adventure title, but a covert how-to-manual for ending a bad relationship. Indeed, Syberia can be read as an extended parable about women's independence, and it’s through her phone that Kate tells that story. 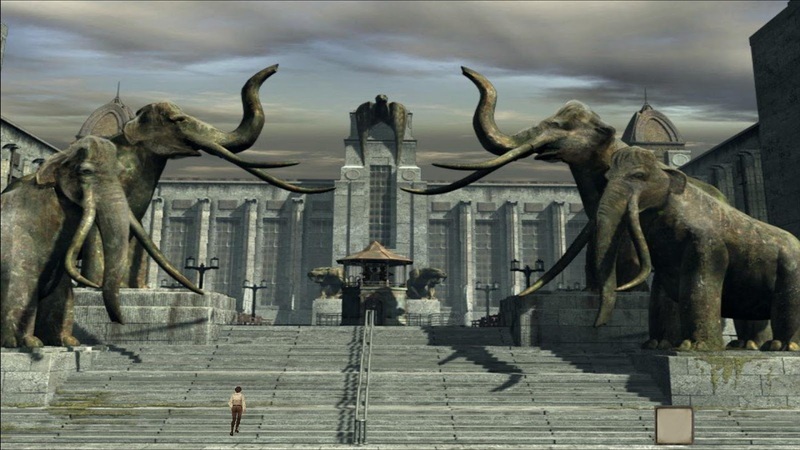 If video games could be dusty old tomes, Syberia might well qualify as a discovery on a forgotten bookshelf. Poverty kept it from me back in 2002, when it was first released. 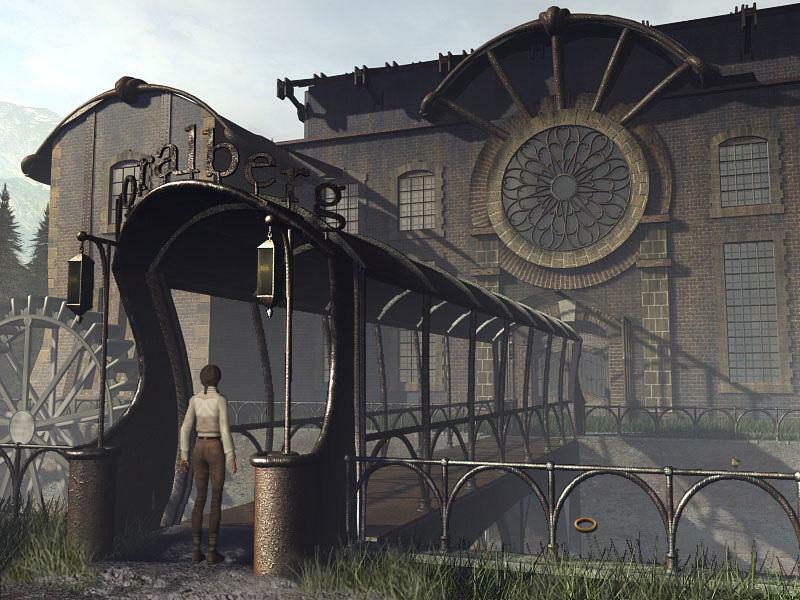 A decade later, however, the urge to recover lost artifacts of a never-happened childhood drove me to download Syberia from Steam. After adjusting to its obsolete standard-definition screen resolution, I was immediately lost in Kate’s adventure. The story is a steampunk fantasy with a bored New York lawyer, dressed in jeans and a windbreaker, heading off to points unknown—and not just to fulfill her demanding boss’ dictates, but to see what lies beyond the horizon. What makes it so interesting is that it uses its through-the-looking-glass conceit to tell a rare story of a woman’s growth, of Walker shaking herself free of her ossified city life. In her first phonecall from Dan, he upbraids her for not being able to attend a dinner party with one of his clients because of the sudden extension of her business trip. You are not given the sense that this is a reciprocal relationship, and Walker comes to realise this for herself as she travels. To progress, you do what you do in any good adventure game: solve complex puzzles and explore. From a decaying university to creaking cosmodromes and rusting Soviet factories, age and desolation flow outwards from the railtracks that guide Walker’s journey. Like a bright, speeding spark, she summons life from each of these derelict calling points. But here the relationship is reciprocal. What Kate gives to the places she visits, she receives in return: vivification, a new lease on life. Reciprocity is the shape of liberty here. Just as Kate helps Helena Romanski, an aged opera diva in a desolate dacha, to rediscover her voice, so too does Romanski help Kate find hers. The Russian soprano is found thanks to Kate placing a phonecall home to her mother and discovering she was “entertaining” another retired opera singer who happened to know Romanski. Here, the need to solve a puzzle intertwines directly with the growth of Kate’s character; even as she begs off details of her mother’s successful date, she seems thereafter inspired by her mother’s adventurous example, which would no doubt have scandalised her fiancé and coworkers. Her journey to find the mysterious Hans Voralberg, whose automata and clockwork inventions dot the countryside, isn’t even half done at that point. What happens in the end, of course, is inevitable. But the breakup is no flaming thing. It sibilates out of existence, a distant echo barely heard, via satellite, across the vastness between her and Dan. There was a grace and maturity to it that struck me; in the hands of a lesser writer, this subplot would’ve rendered Kate Walker a jealous hysteric. Instead, when she discovers that her best friend Olivia (who also calls her, mostly, to defend Dan) had begun an affair with him in Kate’s absence, she is merely contemplative because she has come to know herself. She recognizes that her feelings have moved on. Her mission was initially spurred on by the demands of her law firm, but Kate admits that this became a convenient excuse to pursue something greater. 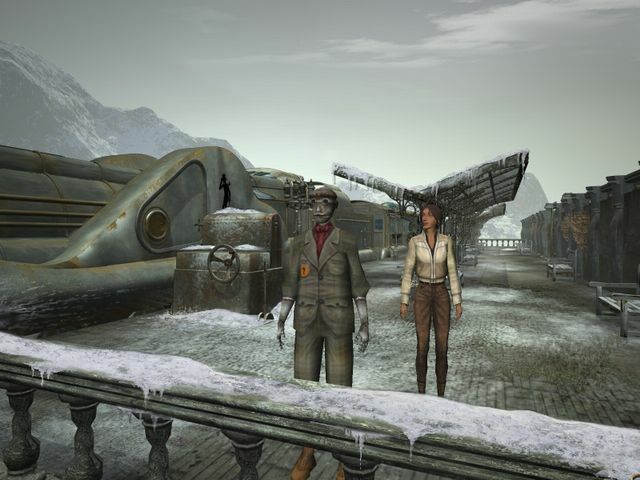 Something more than a grubby business deal was pulling her towards Syberia. By this time she’s brought automata to life, launched a spaceship, rescued both Oscar and Helena Romanski in a daring escape, and finds herself intrigued by the eponymous Syberia—a lost icy island where wooly mammoths still roam. Dan did not want to be a part of that life, the kind of life so rarely lived by women in video games: one where she grows. After Kate hangs up she dynamites a mighty, masculine steel giant blocking the train-tracks forward. Sometimes heavy-handed symbolism is just what the moment calls for.